Q. Why can't we borrow newspapers? 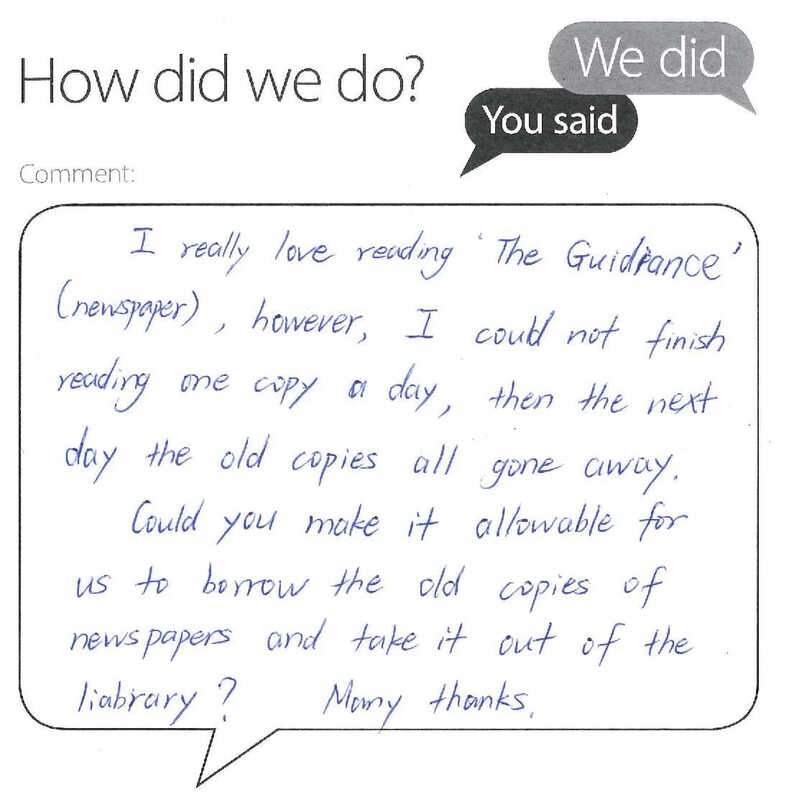 Thank you for taking the time to complete a Library feedback card. I think you may be referring to ‘The Guardian’ newspaper. We are happy to allow you to borrow a non-current issue – please speak to staff at the Library Service Desk. Please feel free to get back in touch if you have any other suggestions or feedback.